Electron beam melting (EBM) is an additive manufacturing method whereby metal powders are melted, layer by layer, by a concentrated beam of electrons to build a component. Once the build is complete, the built component is extracted inside what is commonly referred to as a ‘semi-sintered cake’ – unused powder partially sintered to the outside of the component. This unused powder remaining on the component is then removed and reused for further builds. The Russell AMPro Sieve Station™ is a specially-engineered metal powder management system, designed to reclaim and requalify unused powder directly from the build envelope. 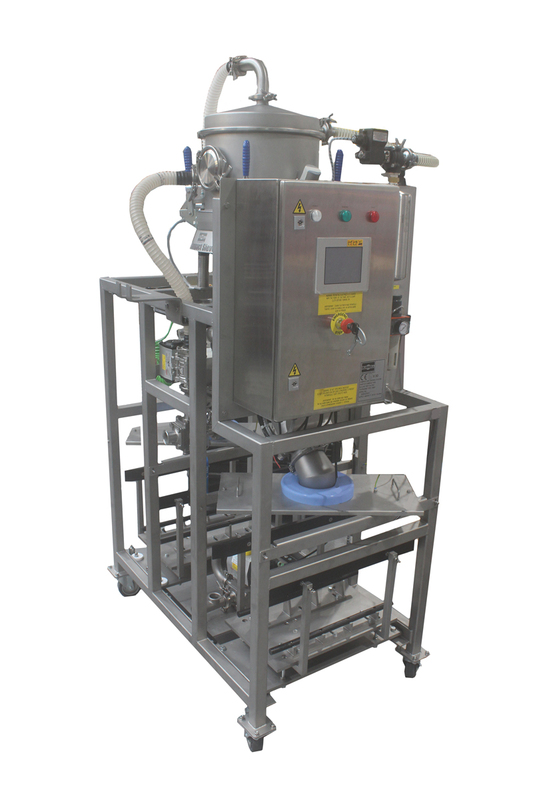 A version of the Russell AMPro Sieve Station™ has been developed specifically to suit EBM powder recovery, and provides a fully-integrated and automated, high-capacity solution to recondition unused powders. The system can be integrated directly into your powder recovery or de-powdering process, providing a convenient solution to guaranteeing the quality of metal powders before reuse. A range of other sieving equipment is also available for grading or check-screening metal additive manufacturing powders before and after use in EBM systems. Contact us for more information about the full range metal powder handling equipment.